OMNIA Nightclub Las Vegas, voted “Best New Nightclub” In Vegas Magazine Awards 2015, hired Invision Studio to shoot an Interactive 360 Virtual Tour of the Club along with HDR Photography. OMNIA is one of the newest, largest, and most popular clubs in the City of Sin right now. Located in the heart of the strip at the incredible Caesars Palace Hotel and Casino, it sits in the spot that used to be occupied by PURE Nightclub. The Hakkasan group had already created some of the best restaurants around the globe and built one of the most renowned nightclubs in Las Vegas under their grandfather brand, Hakkasan. The OMNIA Nightclubs in Las Vegas and San Diego are their newest ventures as they have decided to create something entirely new; building and branding a new company under their Hakkasan Management Group. 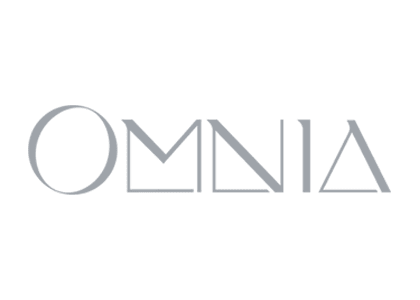 Voted “Best Visual Extravaganza” by Vegas Seven and “Best New Nightclub” by Las Vegas Review Journal; OMNIA spans 75,000 total square feet and was designed by the internationally renowned Rockwell Group. The multiple level venue encompasses an incredible lounge, a high-energy main room that is overlooked by a mezzanine that spans the entire length of the club. It also boasts a breathtaking rooftop garden with panoramic views of the Las Vegas Strip. OMNIA’s Main Room features an expansive dance floor, multiple layers, mirrors, and rich leather seats under a gigantic kinetic LED chandelier that moves up, down and all around to the beat of the music. The Heart of OMNIA is their ultra-lounge complete with antique brass, LED and mirror panels, draping velvets all surrounded by LED screens that change the scenery of the room with the music and mood. The Terrace overlooks all the action of the Las Vegas Strip, transporting guests to the splendor of an outdoor escape with a splash of technological marvel. Open air commingles with modern luxury, with inset lighting in glass floor tiles pulsing to the beat from the LED-laced DJ booth. With so much care put into every detail when designing the OMNIA Nightclub, it was especially important to create an interactive and high quality viewing experience to showcase the venue online. The Hakkasan Group needed to find the best Virtual Tour company in Las Vegas as well as the top architectural photography providers to create incredible visual marketing for their venue. Lucky for them, both of their needs were served by one company, Invision Studio. From our experience photographing their Hakkasan Clubs and Restaurants, we had a great understanding of their photography needs and what they wanted to create for the venue 360 tour of OMNIA. Simply designing and building one of the most breathtaking nightclubs in Las Vegas is not enough, people need to be able to see the venue online in every aspect. Photography and Virtual Tours are incredible important for new Clubs and Venues not only for their website, but for marketing and publications as well. OMNIA needed great venue photography for magazine articles, press releases, blogs, social media and more. They also needed a Nightclub Virtual Tour so that potential club goers could get a 360 walk through the magnificent venue and see all that it has to offer. On top of OMNIA being a nightclub, it is also used as a corporate event space and having a 360 Tour of the event space for client planning and decision making is critical. We were able to provide the best architectural photography and top virtual tours on the planet to fulfill their needs. After the construction of the massive Venue was complete, OMNIA called on us to fly to Las Vegas and shoot the Nightclub Virtual Tours and Architectural Photography of the Venue. With the brand still developing itself, we were allowed a bit more creative control over the project then normal. We played around with different settings and coloring for the nightclub venue photography to create a look and feel that gave the true essence of OMNIA. With the 360 Virtual Tours, we experimented with custom buttons and hotspots that complimented the design of the venue best and was able to create one of the best 360 Tours in Las Vegas!